Rubie CAF is sired by our two-time AHR National Champion and two-time AHR Stallion of the Year, Arno van het Nieshof. Rubie’s dam, Raven NTF, has produced many outstanding offspring who themselves have gone on to become great producers. Her grand-dam, Ramblin Rose NTF, is one of the most well-known producing mares in the United States. Of course, Rubie’s great-grandmother, the renown Rosie NTF, was a prolific producer herself and is the dam of many prominent herd sires across the United States. With such a strong maternal line combined with Arno’s influence on the sire’s side, Rubie is destined to follow in the hoof-prints of her ancestors. With Rubie’s exceptional head and neck set, fabulous shoulder angle and fantastic up-hill build, she is a welcome addition to Genesis Farm. Being trained to ride and drive, Rubie uses her powerful stride and great drive from behind to carry herself with great athleticism and an easy, natural collection. In fact, due to the injury that ‘Fire and Ice AMS’ suffered to her hoof, Rubie is being used by Molly Buis as her high school equestrian team mount for the 2008 season. 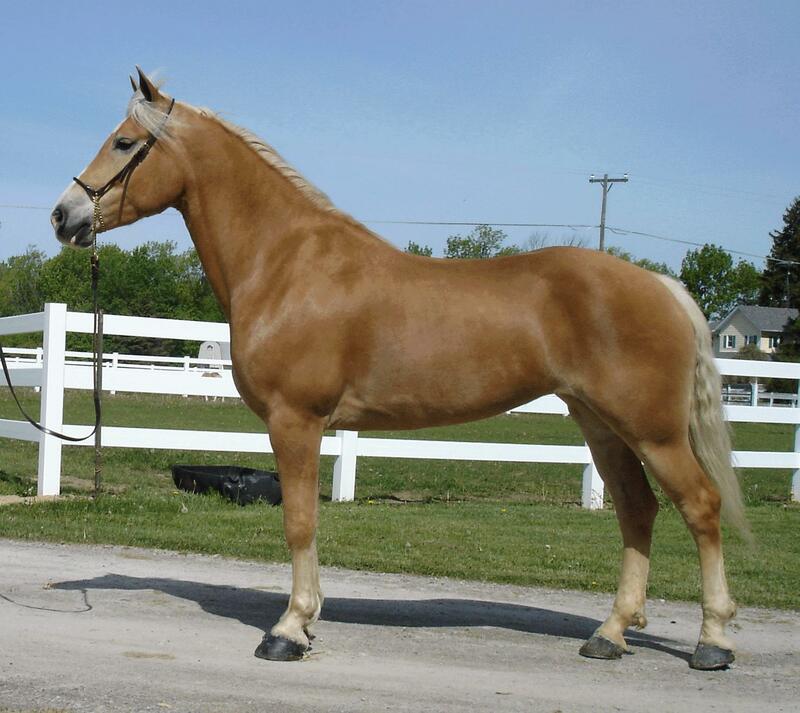 Rubie is bred for a 2009 foal to our imported, AHR GOLD classified, 2007 AHR ‘National Champion Stallion’ Alfa of Genesis. We look forward to this intriguing cross as it combines the bloodlines of our two-time AHR ‘National Champion Stallion’ and three-time AHR ‘Stallion of the Year’, Arno, with our award recognized stallion, Alfa. Add all of that up with Rubie’s powerful maternal line and it results in some high expectations for this 2009 foal.